Both of these teams carry a 2-2 record in the Top 16 and they also both carry an 8-6 record in the Euroleague for this season. This suggests that there may not be too much to separate these to domestic rivals, but it should be a decent game in Catalonia on Friday night, in the first time that these two meet in the Euroleague for close to two years. Barcelona have a stunning record at home in the Top 16, boasting of a 39-1 record in their last 40 games. However, this one loss came at the hands of Laboral so the home side know that they face a challenge. Another reason why it may not plain sailing for the hosts is the fact that Juan Carlos Navarro is an injury doubt and may have to sit the game out on Friday night. 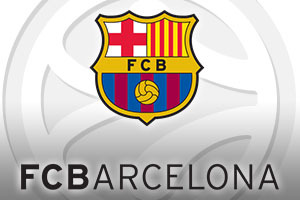 There will be no shortage of top class players who can make the difference for the hosts, with Pau Ribas and Ante Tomic have been very influential for Barcelona in recent games. Laboral know that they face a tough challenge on Friday night but they also know that they have nothing to fear in going up against Barcelona. Ioannis Bourousis has been in excellent form for Laboral this season, averaging 13.4 points per game, and if he can inspire his team-mates in this game, there could be a lot to celebrate for the away team. Adam Hanga and Darius Adams are likely to have a big part to play in this game if the away team are going to do anything, but it will be the work of the away team’s squad if the Catalan club are put to the sword at home. 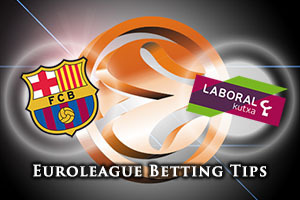 The hosts are favourites going into this game and taking FC Barcelona Lassa at -7.5, at odds of 1.90, isn’t the worst bet for the week. If you are looking to place an Over/Under bet, look to go UNDER 162.5, at odds of 1.90. Bet Now!